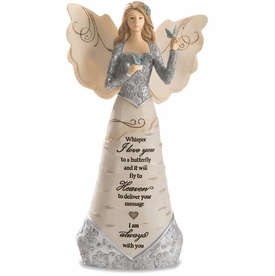 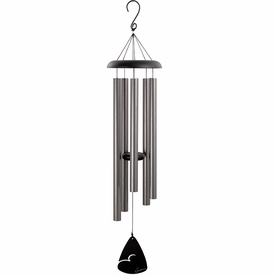 Our bereavement angel features Birchwood accents, with intricate pewter details. 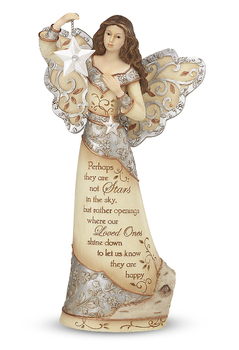 The angel stands with one hand on her heart and the other holding a small star. 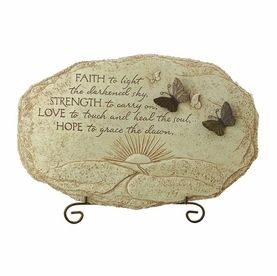 The message on her robe conveys a sense of peacefulness. 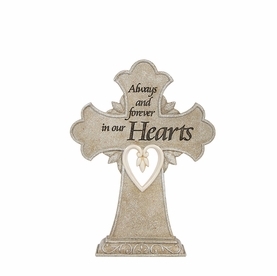 Express your sympathy with this heartfelt gift.